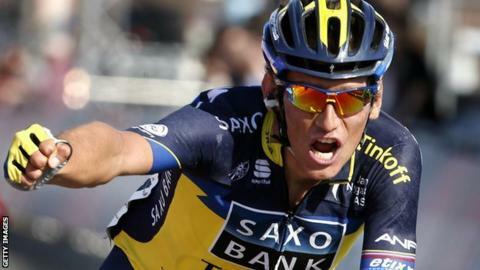 The World Anti-Doping Agency and the International Cycling Union have appealed to the Court of Arbitration for Sport after cyclist Roman Kreuziger was cleared of doping. The Tinkoff-Saxo rider was pulled from this year's Tour de France because of anomalies in his biological passport in 2011 and 2012. UCI decided to ban him provisionally in August pending an investigation. However, the 28-year-old was reinstated by the Czech authorities last month. "The UCI and Wada's move was widely expected as both bodies have put huge store in the biological passport's accuracy. "Their appeal, however, will be strongly resisted by Kreuziger and his Tinkoff-Saxo team, who deny any wrongdoing, although he was actually riding for Astana team at the time of his irregular blood values. "Astana, of course, are currently under investigation after three of their riders failed drugs tests in recent months." The Czech Olympic Committee ruled in September that Kreuziger did not violate anti-doping rules, stating that "the values in the cyclist's biological passport did not exceed the basal (extreme) values." The data in question is from when he was riding for the Astana team. The Czech rider came fifth in the 2013 Tour de France and was set to be Alberto Contador's key lieutenant at this year's race.